An inquiry report has been submitted to the Municipal commissioner by the Inquiry Committee, in connection to the Kamala Mills fire. The committee has concluded that the fire started from the pub Mojo's bistro and not from the restraunt 1Above as believed earlier. The report also stated that there were several violations of fire safety norms by both Mojo's bistro and 1Above. The inquiry committee has recorded statement of around 10 people, gone through video on social media and several news portals too, to conclude the reason of the fire and lapses from both the restaurant and pub. On January 4, the Maharashtra State Human Rights Commission (MSHRC) had directed BMC to submit a report on Kamala Mills fire, in which 14 people were killed last month. The MSHRC chairperson Justice S.R. Bannurmath issued the notice to the BMC Commissioner Ajoy Mehta to submit the report on the tragedy on or before January 29. 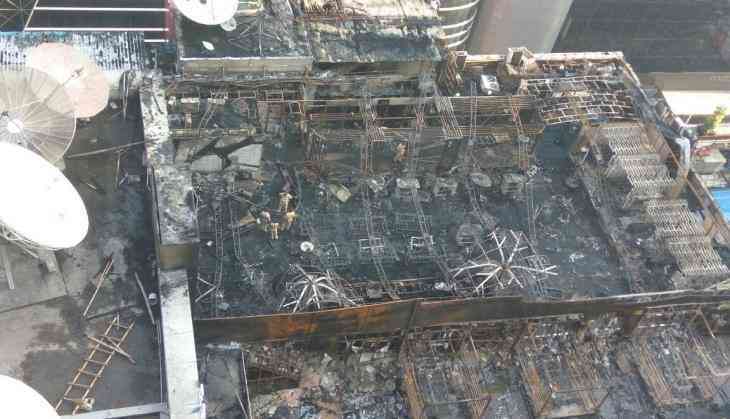 Fourteen people lost their lives and over 30 others were injured, when a major fire broke late night on December 28 at a building in Kamala Mills Compound in Lower Parel. The massive fire reportedly had allegedly broken out from the '1Above' rooftop restaurant and later spread to the entire area.